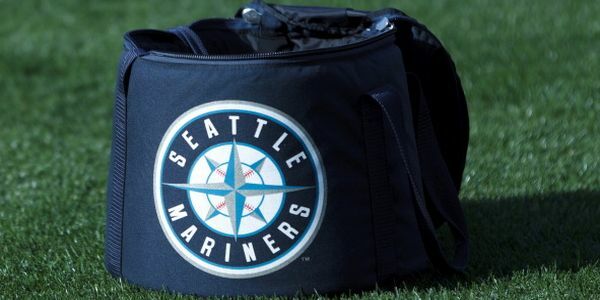 Seattle was fairly active this offseason, acquiring one impact bat and several complementary pieces that could help the Mariners win the American League West for the first time since 2001. 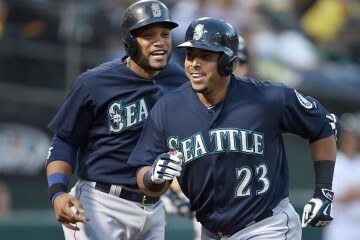 The major addition was Nelson Cruz, he of 40 home runs in Baltimore last year. Cruz will try to continue his six-year stretch with at least 22 home runs. The team also traded for Seth Smith, who will be on the heavy side of a right-field platoon. Rounding out the major additions is J.A. Happ, who will look to take advantage of Safeco Field’s 18th-ranked home run park factor compared to Toronto’s sixth-ranked factor, according to Fangraphs. The Mariners’ top draft picks are easy to identify: Felix Hernandez and Robinson Cano. Hernandez is the consensus No. 2 pitcher on Fantasy Pros, and he has the 12th-highest average draft position according to NFBC data. Hernandez has seven consecutive seasons of 200 or more innings, and he has kept steady or bettered his strikeout rate every year since 2007. He’s also done the same with his walk rate since 2008. Pairing him with a stud hitter at the 1-2 turn or taking him in the second round after taking a hitter is a wise investment. Cano is ranked the top second baseman at Fantasy Pros, but he is being taken behind Anthony Rendon and Jose Altuve, according to NFBC. Cano “slumped” in his first Seattle season, hitting only 14 homers. But he did steal 10 bases, and his runs and RBI totals should go up this year. 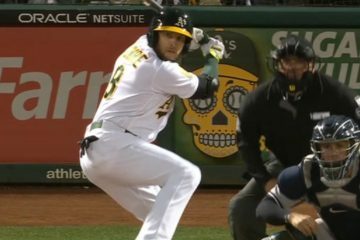 He hit over .300 for the sixth straight year, and his .382 OBP was the second-best mark of his career. Taking him in the mid-second round as the first second baseman off the board is a safe pick with upside. 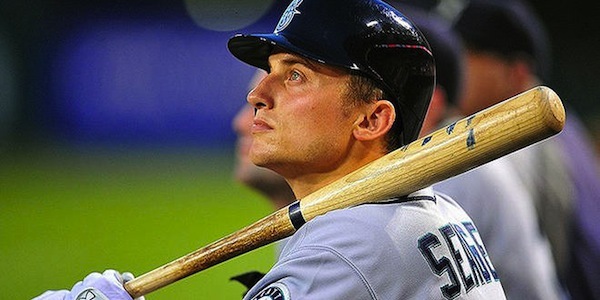 I would’ve included Kyle Seager in the top draft picks section, but I didn’t want to overload it. Seager has improved his home runs, isolated power, slugging percentage, wOBA and wRC+ every year he’s been in the Majors, and he compares favorably to other third basemen going ahead of him in drafts. He should easily surpass 100 RBIs this year, assuming he hits fifth behind Austin Jackson, Smith, Cano and Cruz. He’s my top pick at third base based on draft spot and value. James Paxton started out strong last year with a seven-inning, nine-strikeout shutout of the Angels, but then he missed four months with a lat strain. 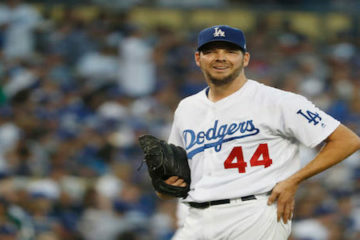 But he came back throwing as hard as he usually does and ended with a 3.04/3.28/3.54 ERA/FIP/xFIP line. He induced grounders more than 54 percent of the time last year, and he has a high-quality four-pitch mix including a 95-mph fastball. He is ranked 76th at Fantasy Pros among starters and has a 238 NFBC ADP. Take him instead of a boring veteran whom you can find later on the waiver wire if you need to. Cruz is going around 65th overall at NFBC, and looking at the names around him there that seems like it’s an OK spot for him. Just don’t expect a repeat of 40 home runs. We know he has power, obviously, but last year he accrued the most plate appearances of his career to get those homers, and he has only played in more than 130 games twice in six full seasons. Seattle’s park has a park factor seven points lower than Baltimore’s so he’s much more likely to hit 30 bombs this year than 40. Fernando Rodney is the clear closer for now after he saved 48 games last year. He should have plenty of opportunities again this year. He did lose some strikeouts, but his strikeout rate was still well above his career average. He also cut down on his walks, and his other numbers are just fine. He should be a fine pick. If Rodney were to lose his job due to injury or performance I think either Danny Farquhar or Tom Wilhelmsen would be next in line. With Paxton and Taijuan Walker most likely headed to the Majors, the Seattle farm system is somewhat depleted of top-shelf talent. Keith Law ranked it 21st in the Majors, and the only name that sticks out with a shot at producing in Seattle this year is first baseman D.J. Peterson. He’s 23 and most likely headed to Triple-A this season after hitting 31 home runs between High A and Double-A last season with a .297/.360/.552 line. With Logan Morrison manning first base right now, Peterson could force his way to Seattle with a good start to the season. .225 – That’s Dustin Ackley‘s isolated power from July 31 to the end of the season last year. In 193 plate appearances Ackley belted 10 home runs and 31 RBIs, which measure out to 36 and 110, respectively, over a full season. He hit only .230 with a .281 OBP, but he should see fewer lefties this year due to Rickie Weeks‘s presence as a right-handed platoon partner. He also stole five bases in the two months, and his .225 BABIP was over 60 points lower than his career rate. In deep leagues Ackley could make for a good bench option to see if his late-2014 power is for real.